We appreciate your interest in our custom iron entry doors and other custom iron products. Our company is based and serves the Dallas / Fort Worth Metroplex since 1993. Monaco Doors strives daily to provide the highest quality, custom-built iron doors using only the finest quality materials, and most importantly, all of our doors are designed and built here in Frisco Texas. Simply put, you deal directly with the manufacturer. We stand behind our products 100%, and we also service our own products. Call or email or chat with us online today to see how we can provide you with the highest level of service and craftsmanship in the custom door and iron door industry. A few details about our custom iron doors. Made in the USA. 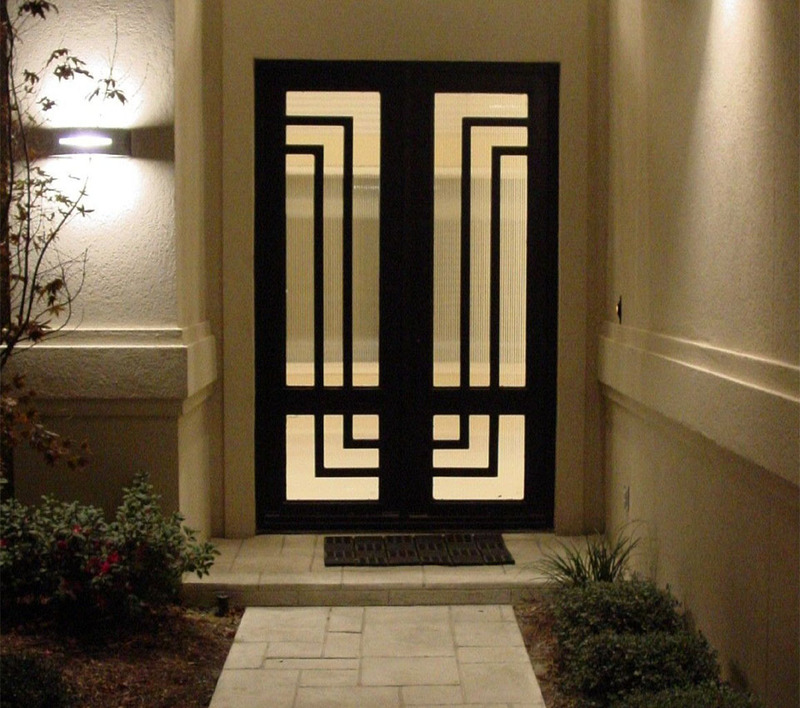 Unlike most iron door companies, we are NOT a reseller of inferior iron doors from China or Mexico. We manufacture every iron door in our facility in Frisco Texas. We welcome you to come see for yourself. Made to order. Our iron doors are custom made. We keep only some doors in stock, but we mainly custom design and make each and every door to order. Technology: We have designers that will work with you or your architect, and provide CAD drawings which show the manufacturing details and specifications. Thermal Break System : We use several thermal break systems on our doors that are implemented depending on your local climate. Service and Honesty: Yes, HONESTY. We are up front and courteous to our customers and clients. You are the reason we do this and we make sure to always thank you for your business. This is why we stand behind our products and services 100%. To provide you with the highest quality in custom iron doors, our Quality Control team continually inspects every door daily to ensure your door is built per our high level of standards and specifications. We are constantly driven to improve our doors through product research and design testing. 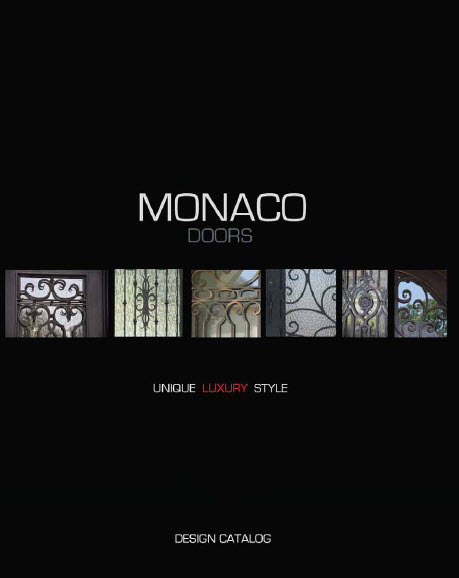 Monaco Doors are built to American Door Industry standards. Basically, our doors will fit all new construction and remodel applications, unlike most doors manufactured in foreign countries. Our skilled craftsmen utilize the latest in cutting-edge technology to design and build your handcrafted iron door here in the United States. Being an American-made product, we control the lead times for delivery of your door. We spend countless hours engineering our custom doors to withstand whatever forces man or nature may bring. No products will ever be used in our doors unless thoroughly tested and approved by our R & D team. If it doesn't work, we don't use it.